French rolling stock manufacturer Alstom opened a new production line in its Polish facility in Chorzów, close to Katowice, to assemble 79 InterCity Next Generation (ICNG) trains for Dutch Railways (NS). 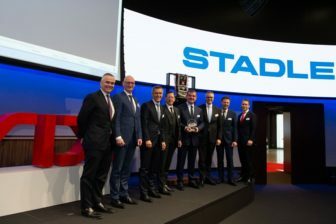 The first units will be delivered to the Netherlands in January 2020. The new line is remarkable for its latest technologies improving performance and reducing manufacturing time. It was installed in an assembly hall of 6,500 square metres. The production line consists of twenty workstations, responsible for the full process from pre-fitting to cabling and interior fitting. Meanwhile, some processes such as car body shell welding and erection, painting and final testing are performed in separate halls. Over 110 employees work on the ICNG line. 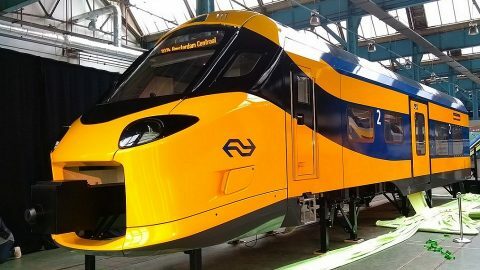 The new line launch was officially opened in the presence of top managers of NS – the company’s CFO Bert Groenewegen and director new rolling stock Roel Okhuijsen. “We are very pleased to welcome the NS management in Katowice today, inaugurating the ICNG fitting line. This new line is part of an ambitious investment programme launched by the Alstom for the Katowice site, one of the company’s flagship sites. Our teams in Poland are committed to making it a success”, Alstom senior vice president Europe Gian Luca Erbacci said. 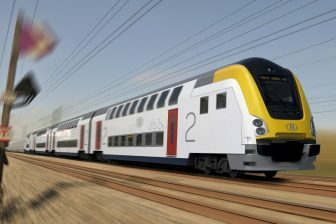 The ICNG type of multiple units is based on the Coradia Stream platform, designed and developed in Saint-Ouen, France, Salzgitter, Germany, and manufactured in Chorzów, Poland. The trains will be supplied to NS in eight-car and five-car compositions with a total capacity of 25,000 seats.The cars have Wi-Fi, power sockets, LED lighting, a real-time passenger information system and security cameras. All the units are compatible with ATB and ERTMS systems. The ICNG trains feature areas for reading, resting, wheelchairs and bicycles, and restrooms for people with reduced mobility. The 800-million Euros deal was signed in July 2016. The ICNG units are able to run with a maximum speed of 200 kilometres per hour. 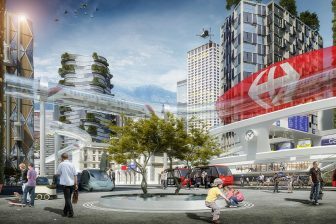 In 2021-2022, they will be able to run on 25KV AC railway (the Amsterdam-Rotterdam-Breda high-speed line) and 1.5 KV DC railway (Dutch national network and the Den Haag-Eindhoven corridor). The new line was installed in Konstal company, the Polish subsidiary of Alstom in 1997 and the group’s largest facility in Central Eastern Europe. The 250,000-square-metre manufacturing site is specialised in the production of metro and regional trains. Currently, over 2,000 employees work at the facility to realise nineteen projects for ten countries in Europe, the Middle East, Africa, and Australia. All its production is exported abroad. However, Alstom cooperates with up to 468 Polish suppliers.